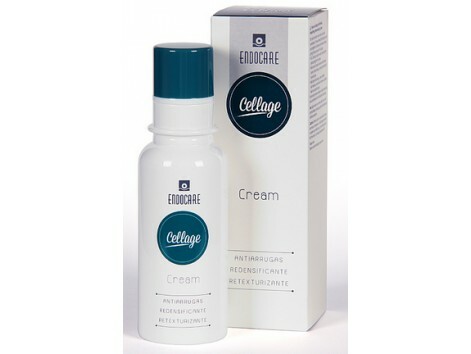 Endocare Cellage Cream 50ml. Multi corrective cream stimulates cell renewal and repair works on the origin of aging. Multi corrective rich cream with a unique combination of 3 new patented technologies, in synergy, stimulate cell renewal and repair and act on the origin of aging. IFC-CAF: acts on skin stem cells to promote the restructuring of the skin from the inside. Gel Wharton Complex: stimulates and restores the proper function of increasing cell density in the skin layers. RetinSphere Technology: new high tolerance retinoid that renews and smooths the surface layers of the skin. Its nourishing texture moisturizes the skin deep giving a sense of comfort throughout the day.